Outside of the occasional heavy-handed bout of carrier locking and regional band incompatibilities, GSM customers around the world benefit from one huge technical advantage over CDMA: network independence. 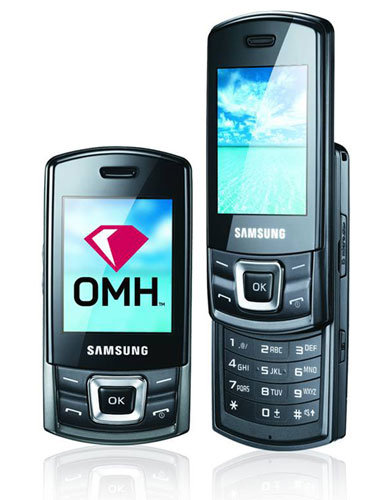 That's the problem the CDMA Development Group has been trying to solve with the introduction of the Open Market Handset initiative, and Sammy is now the first manufacturer in the world to roll out OMH-compliant gear. The Mpower 699's appearance and forgettable specs belie its ground-breaking guts, looking pretty much like any other low-end Samsung slider of the past few years -- but inside is an R-UIM slot that allows the phone to be used on any CDMA carrier in India where it's being launched for 7,100 rupees (about $145). If you're not happy with what you see here, fret not -- Sammy's promising a total of five more OMH phones in India by early next year, so it looks like this is the wave of the CDMA future. LTE aside, don't count these guys out -- CDMA's going to be around for a very long time to come. Samsung's Mpower 699 makes Open Market Handset initiative a reality in India originally appeared on Engadget Mobile on Mon, 31 Aug 2009 17:35:00 EST. Please see our terms for use of feeds.